Check out what’s happening now in the Shadow a Student Challenge! Share your experiences, see what others are trying - and collaborate on challenges big or small. Use the #shadowastudent hashtag to see your Twitter or Instagram posts here. In the toolkit, you’ll find ideas for how and what to share, or create your own. We can’t wait to see your contributions to this inspiring community! Not sure what to do with your observations? Or, keen to share your experiences with other school leaders? Connect with other school administrators at our scheduled Twitter chats. Sign up to receive alerts about upcoming chats. Connect with other school leaders in your area at post-shadow meetups. Share your questions, challenges, and ideas for various school problems. Just fill out the form below, then download our toolkit and email templates to kick start the process. How many years have you worked in education? Are you signing up a team of colleagues to take this Challenge? If yes, how many? Thanks for signing up! You are now part of a community of school leaders committed to participating in the Shadow a Student Challenge. Be sure to download our workbook to get started! 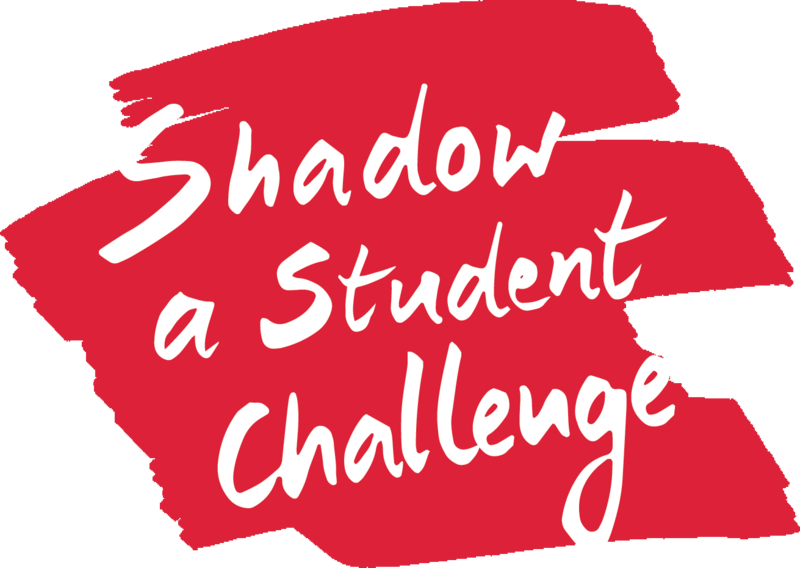 Encourage other school leaders to join the Shadow a Student Challenge! Oops! Something went wrong while submitting the form. Please check whether you've filled out the required info correctly.